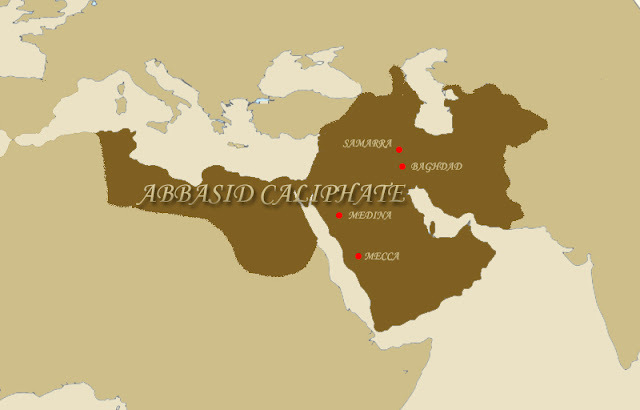 The Abbasid Caliphate struggled to maintain power in the 9th century due to intrigue and infighting. With the power and influence of Baghdad waning, regional officials, generals and their rivals assumed power either as de facto independent principalities or outright independent states. Thus, the map of the Islamic world filled with families vying for power with the suffix –ids. In Persia, several warlords also saw their share of warlords. The Buyids belonged to these warlords, but before their rise, several others took up the challenge of building themselves an empire. Mardavij, a Zoroastrian general, took control of the Tabaristan region that covered the southern coast of the Caspian Sea in modern day Iran. From Tabaristan, he expanded his realm to cover the lands of present western Iran. It was during Mardavij’s rise that the Buyids came to the scene. The Buyids traced their ancestry to a Daylamite fisherman named Buyi bin Fanna. The Daylamite fisherman had 3 sons: Ali, Hasan, and Ahmad. Ali, the eldest served as a soldier in Mardavij’s army, he later rose in the ranks and became the Governor of Karaj in 930. He became popular with the soldiers for his humble origins and charisma. This, however, earned the jealousy of Mardavij who then plotted the downfall of his popular governor. Ali sensed this and he fled south to Isfahan, then to Arrjan in Fars, before finally settling in Shiraz. He sought the support of the Abbasid by requesting to grant him the position of Emir of the Fars region, which would help him to cement his position. Eventually, before the conflict between Ali and Mardavij escalated, the two agreed to a peace. For assurance, Ali sent his brother Hassan as a hostage to Mardavij. In 935, Mardavij was assassinated by his Turkish slave. The lands Mardavij ruled fell to anarchy and the Buyids took it as an opportunity to carve their own domain. For the next decade, Ali and his brothers campaigned to achieve this goal. Ali took Fars province while his freed brother Hasan took Jibal region in Iran and Ahmad took Kuzestan. Meeting success in taking much of Persia, the brothers decided to expand towards Iraq and Baghdad itself, the capital of the Abbasid Caliphate. In 936, the Abbasid Caliphs further suffered humiliation and impotence in the hands of their generals. In that year, the Governor of Wasit, Mohammed ibn Raeq demanded Caliph Radi to give him the title of Amir (Emir) al-Umara or the Great General or Commander. In this situation, the Caliphs remained a religious symbol while all their political power went to the Amir. Several Amirs had taken the title until 945, when the Buyids finally took Iraq and surrounded Baghdad. Powerless to defend the city, the Caliph opened the gates to Ahmad and his forces. Right after they demanded the Caliph to recognize the Buyid brothers as Amirs of their conquered territories. Ahmad became the Amir of Iraq while Ali became the Amir of Fars and Hasan the Amir of Jibal. In addition, the 3 brothers also received new titles. Ahmad received the title Mu’izz ad-Dawla or Fortifier of the State, Ali the Imad al-Dawla or Supporter of the State, and finally Hasan Rukn al-Dawla or Pillar of the State. 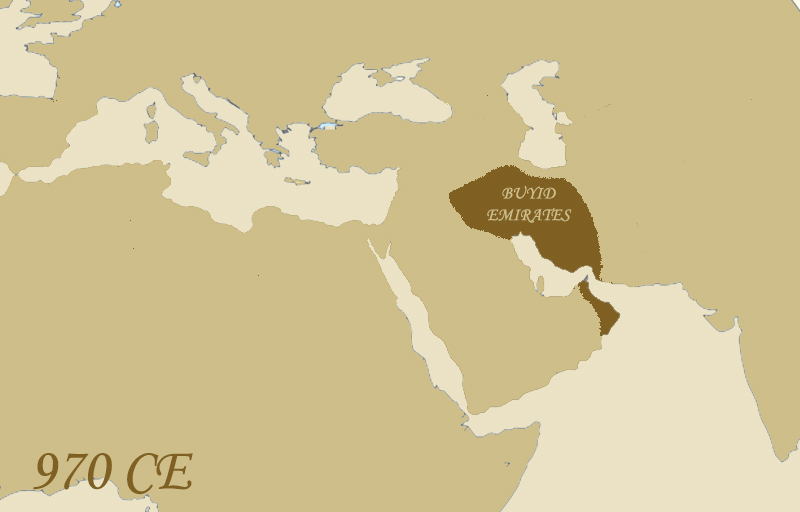 By the titles, the Buyids effectively became the protectors of the Abbasids. When the 3 Buyid brothers Ali, Ahmed, and Hassan took power and became amirs or emirs of different provinces, they decided to keep the Abbasid Caliphs as a means to legitimize their rule. After all, they all had just been sons of a fisher who eventually found their way up. After they had taken Baghdad they used the prestige of the Abbasids to cement their holdings and earned reputations as defenders of the faith and the Caliphate. Thus, the Buyids gained influence and standing at the expense of the Abbasids sinking into further impotence. Furthermore, the Buyids Emirs constantly also looked for ways to maintain support for their rule. For instance, they had been known as Shia but they never imposed their religion strictly nor persecuted the Sunnis in fear of rebellion. For the Shia, they gained the support by commemorating the Ashura or the death of Hussein. They allowed the pilgrimage to sacred Shia sites like Karbala and an-Najaf. They also touched on the Persian population by claiming descent from the Sasanians and titling themselves as Shahanshah or King of Kings, an age long title claimed by Persian kings. Having made themselves into Emirs of their own domains, the Buyid brothers, however, illustrated the fragmentation prevailing at the time. 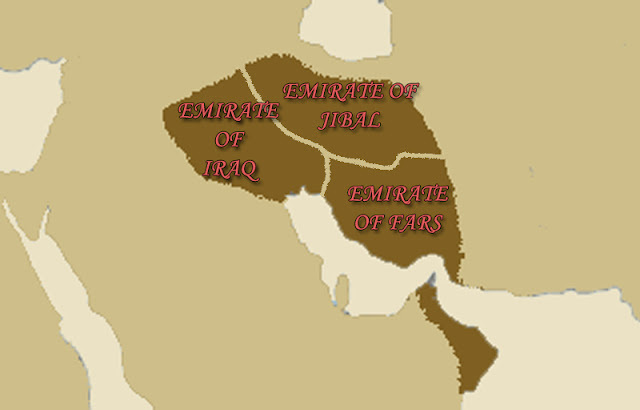 The brothers failed to consolidate and having single ruler which then turned into sibling rivalry between the 3 separate emirates: Iraq, Jibal, and Fars. This failure of consolidation of their territories into a single empire led to prevalence of war and the Buyid emirs continued to defend themselves from threats both within and without. Only one Buyid, however, achieved to unify the emirates into a single entity, the son of Hassan - Abu ad Dawlah (r. 949-983). He fought against his cousins and won. Under him, the Buyids also incorporated to their territories Oman and Tabaristan, hence forth controlling the lands between the Caspian Sea and the Persian Gulf. With the Buyids Empire united under his rule, Abu ad Dawlah embarked in projecting his power. He brandished his name in coins and had it spoken in public prayers, a practice that became a display of power during that period. He also established hospitals, like the famous al-Adudi Hospital, and built dams like the Band-e Emir (Emir’s Dam) being the biggest project. It meant to revive agricultural production that suffered during years of chaos. Though the Buyids later descended back to anarchy and divide after Abu ad Dawalah, they nevertheless allowed the mixture of Persian and Islamic art tradition. This became visible in poetry and architecture. Sassanid motifs returned and mixed with Islamic art. As the Buyids remained divided and clashed among themselves and other factions, the economy once again tumbled down. Agriculture suffered along with tax revenues. Thus, when a new powerful threat emerged, they failed to respond properly. This happened when the aggressive Seljuq Turks descended from Central Asia and into the limelight of history. Tughril Beg conquered much of the Islamic world defeating numerous Sultanates and Emirates and putting an end to various dynasties, including the Buyids. In 1055, Buyid Emir Abu Nasr al-Malik ar-Rashim surrendered to Tughril Beg, bringing an end to the self-made dynasty of emirs. Etheredge, Laura. Islamic History. New York, New York: Britannica Educational Publishing, 2010. Hunt, Courtney. The History of Iraq. Wesport, Connecticut: Greenwood Press, 2005.